Eight per cent of clubs’ net gaming machine revenue goes to the Community Contributions Scheme. 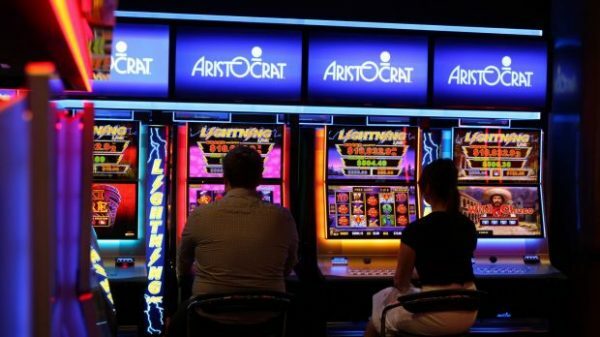 Clubs could lose control of $11 million a year in community contributions made from poker machine revenue under reforms proposed by the Justice and Community Services Directorate, but the industry lobby group says the community would be the loser if they were adopted. JACS has developed an options paper, Maximising the Benefit of the Community Contributions Scheme, which explores ways to spread its benefits, and resolve questions around the worthiness of recipients, and governance and transparency. Under the current scheme, mandated at 8 per cent of net gaming machine revenue, individual clubs decide where contributions are made and as a result, says JACS, the bulk of them go to sport and recreation, and mainly to themselves. Eligible contributions are divided into five categories – Charitable and Social Welfare; Problem Gambling; Sport and Recreation; Non-Profit Activities; and Community Infrastructure. JACS has proposed three options – all contributions going to a centrally administered fund, an additional portion of gaming revenue going to a central fund and a portion of the existing community contributions going to a central fund. The proposals are separate to Chief Minister Andrew Barr’s idea that contributions be diverted to his new Charitable Fund. ClubsACT chief executive Gwyn Rees said that any form of levy was a tax and will add to pressure on clubs at a time when the Government will force the largest reduction of machines in Territory history. He said more than 10 clubs had closed in the last decade and more will close before the end of this parliamentary term. “This is all while they are telling clubs to diversify away from gaming revenue but are projecting more taxes from them, according to the most recent budget forward estimates,” Mr Rees said. JACS says that a central fund administered by an independent committee would see more even distribution of funds throughout the community, be more efficient and reduce costs. Payments to the fund would be based on gross gaming machine revenue instead of net revenue to better reflect the relative capacity of individual clubs, and recipients would have to apply for grants. Acknowledging that many contributions under the current scheme are of very low value such as room hire and team shirts, JACS says a hybrid scheme that retains the current framework could be considered, with an additional portion of community contributions funding directed towards a grants scheme. “This would assist in providing needs-based funding to community projects,” JACS says. But JACS says that while it may address concerns over the distribution of community contributions, it would not deal with the inefficiencies associated with the direct contribution model. The third option would see the current framework retained but a portion of the existing mandated percentage allocated to a centrally administered fund and the amount required adjusted under the direct contribution scheme. In all, JACS says the wide range of permissable contributions needs to be reviewed. ACT Auditor-General Dr Maxine Cooper’s report into the scheme identified a lack of oversight from Government that gave clubs such wide discretion when it came to community contributions. She also questioned the value and benefit of some contributions including payments to professional and semi-professional sporting teams, not allowed under schemes in other jurisdictions, and the maintenance and upkeep of sporting infrastructure. Mr Rees insisted the current system was transparent, saying promotion had been its failing but oversight of it had ultimately been the role of the ACT Gambling and Racing Commission. He said each club produced a report which is audited by Government and accounts are put to members at an annual AGM for scrutiny and acceptance. “The ACT Gambling and Racing Commission also produces an annual report of community contributions each year which is then scrutinised by the Minister and released to the public,” he said. Mr Rees said the way forward for all stakeholders would involve partnerships, meaningful consultation and better promotion of the reach and impact of the scheme. “Clubs are committed to contributing to the community and want to ensure the scheme through which this occurs is efficient, effective, sustainable but most importantly transparent,” he said. JACS proposes that any changes to the scheme be phased in, with annual incremental increases in the amount allocated to the central fund until the prescribed amount is reached. ClubsACT is already lobbying against Mr Barr’s plan, calling on club members to write to the Chief Minister, Ministers and MLAs. To view the options paper go here.